The development of modern industrial instrumentation not only depends on the product technology level, but also involves engineering application technology. In recent years, many measurement and control equipment manufacturing enterprises and thermal power, petrochemical, metallurgical and other applications of scientific and technological enterprises and engineering companies have made considerable progress in application software development and system integration technology, through the commitment of foreign control systems and product engineering applications , Mastered a number of large-scale projects and installations of automatic control applications. However, with the development of foreign field bus, SOLUTION, MIV, EPC and other technologies and engineering assembly methods, the difficulty of China's automatic control systems and field instruments entering large-scale projects will further increase. China's automation control system and on-site instrumentation and key precision test instruments are still 10 to 15 years apart from the international level. China's instrumentation and technology breakthroughs need to reach eight miles. The technical characteristics and trends of modern industrial instrumentation are digitized, intelligent, networked, and integrated, while China's products are generally common varieties, and smart products have just started. Taking nuclear power control systems and instrumentation integration as an example, the gap is even greater after entering the digital control technology era due to the weak foundation. The overall characteristics of modern industrial instrumentation are high reliability, high performance, and high applicability. The gap between most products of Chinese companies and foreign products is also in this respect. For example, China's self-developed decentralized control system DCS and electromagnetic flowmeter, the basic performance and function of these products has been close to the international level, but there are still some gaps in the reliability and engineering application capabilities. Foreign smart actuators have adopted new technologies such as variable frequency speed control, new-type motors, low-power consumption, micro-piezoelectric ceramic I/P converters, Bluetooth communication technology, intelligentization, and field bus, etc., and domestic companies have only started to develop. Taking the mass flow meter as an example, the accuracy of foreign measurement is divided into 4 grades, the highest accuracy and can measure the gas is 0.1, the most common is 0.15, while the domestic can only reach the economical 0.2 and applicable type 0.5 level. Another example is China's metering at gas stations. . 5% accuracy, but the accuracy of overseas 300,000-ton oil tankers to China's delivery is 0.1%. Take the high-precision intelligent pressure/differential pressure transmitter as an example, the domestic transmitter lacks specifications such as micro-low pressure of 1kPa or less, high differential pressure range of 800kPa or more, high static pressure of 16MPa or more, and corrosion resistance in measuring the reference range. Some engineering or system application special requirements cannot be met. For example, the high performance photoelectric direct reading spectrometer, the vacuum degree of the foreign instrument is monitored by the computer in real time, and the domestic instrument still needs manual operation in many aspects. At present, China's high-end products are few or even blank. Taking atomic absorption spectrophotometer as an example, there are high-end instruments for Zeeman background correction technology in foreign countries, which have not yet been developed in China. The high-end needs mainly rely on imports. Taking PLC as an example, more than 95% of China's PLC market is occupied by foreign products. European and American products have absolute advantages in large and medium-sized PLC fields. 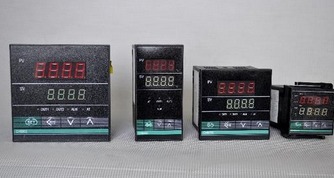 Japanese products have an advantage in the field of small-scale PLCs, and products in South Korea and China Taiwan also have a certain market share. The market impact of China's own indigenous brand PLC is very small, and it is difficult to form economies of scale. The instrumentation market is also as described above.